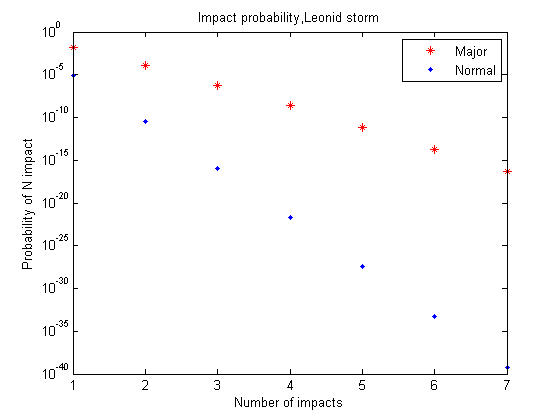 Calculate the impact probability during a major Leonid storm which has a meteor flux of 8.63e-8 m-2s-1 and lasts for t hours. Do the probability analysis for a GEO spacecraft of size A m^2. What would the risk be during a normal Leonid storm, flux 4.69e-11 m-2s-1?